The weather is hot and sticky in the Dallas-Fort Worth Metroplex, and what is one natural and fun way to keep cool? WATER! Water is at a premium in Texas with only one natural lake, but Fort Worth has a place that you can have fun in the sun, enjoy sandy beaches, and still keep cool. If you love water, the outdoors, and steamy summers check out Burger’s Lake in Fort Worth, Texas. Hours: Open Mother’s Day through Labor Day from 9AM to 7PM daily. Burger Lake is a 30-acre park featuring a one-acre spring-fed lake. 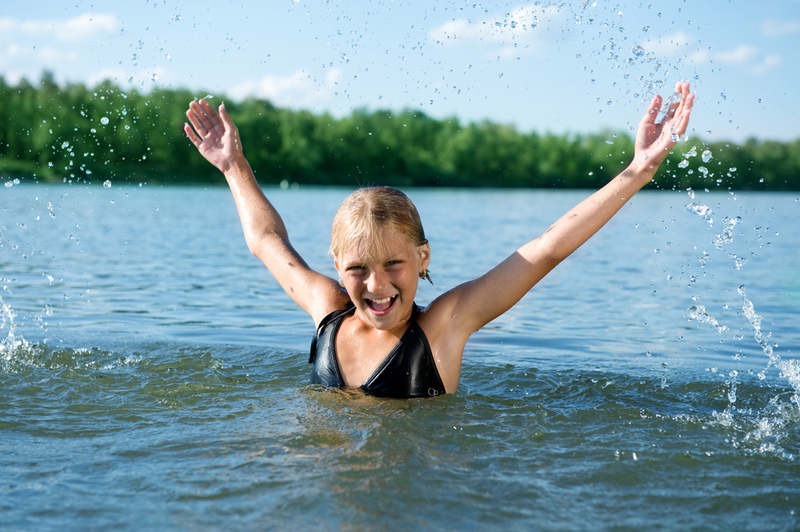 The lake boasts a sandy bottom and is maintained with a state-of-the-art purification system to keep it clean and safe. With fresh, clean, cool water for cooling off in the summer, two sandy beaches for the kids to wile away the hours making sand castles and exercising their imaginations, and beautiful large shade trees for you to relax or read under, Burger Lake has something for everyone. Manned by a complete staff of certified lifeguards, the lake features a 25-foot trapeze, a 20-foot slide, and six diving boards (including a baby-sized diving board)! You will find 300 picnic tables in the park, along with185 charcoal grills for cooking, grass and sand volleyball courts, inner tubes for rental, and a food and beverage stand. For a safe and tranquil experience, no alcoholic beverages are allowed in the park and pets are prohibited.